Cattails, Rabbit Trails, and Thistlefish: Hello, Year 23: Oh, how the Lord has been faithful. Hello, Year 23: Oh, how the Lord has been faithful. This birthday has been a little weird! Just because this season has been all about enjoying some "lasts" before the baby comes. Our "freedoms" and flexibility as a family of three will be very different! So we've been trying to really appreciate the little things. Like Sunday naps together, random drives together after work, or eating whenever we want. (Literally wore my LuLaRoe dress all day for my birthday! All that to say, I know that a year from now my life is going to look TOTALLY different. In so many good and challenging ways. So maybe it's the fact that this birthday was a kind of "last," but it's left me very reflective about where Jon and I have been the last year and what God could possibly have in store for us in this next one. 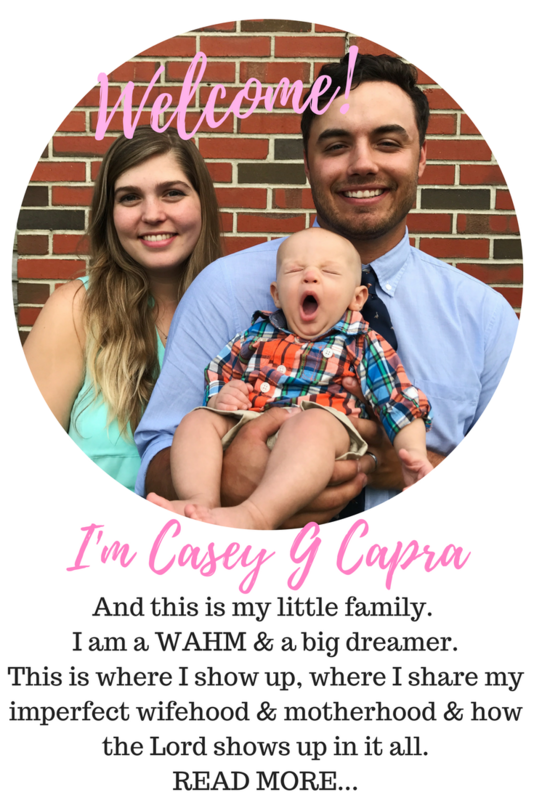 Because even though this birthday is a "last," it is also one step closer to living out a lifelong dream of being a mother. I had no idea how many good and adventurous things God had in store for my 22nd year; why would my 23rd be any different? This last year... It's been a strange one, ya'll. So crazy and unpredictable. My birthday last year, Jon and I were working full-time (but living part-time) in Maryland and commuting home to VA on the weekends. We moved out of our apartment on those weekends we were home, and squeezed in some family time. That whole summer was a blur. We were exhausted, but so thankful to be working together. We traveled a lot around DC, had the opportunity to go visit Jon's brother in Alaska (which was SO cool), and go on an anniversary cruise to the Bahamas (the BEST trip ever). It was such a roller coaster, ya'll. A full, adventurous, roller coaster. And I feel like I learned a lot about myself and a lot about marriage! But it went by oh-so-fast. And bringing a child into the world is causing me to practice more of "right now" kind of thinking instead of rushing through things or worrying about the future. I chose a "word of the year" back in January, as a change from making New Years goals or resolutions. It's something my mom has been doing for a few years, and she's loved it, so I gave it a try, and chose the word "aware." Aware of what habits I was forming. Aware of what I was feeding myself - mentally, physically, spiritually, visually, audibly. Aware of who I was, and who I wanted to become before this little person came into the world. I didn't want this pregnancy to be defined by worry or stress or anxiety, but a deep trust in the Lord, and reflection on the kind of mom I wanted to be. However, the Lord has started to shift my "awareness" to less of an awareness of what I am doing to prepare myself for motherhood, and to be more aware of how He has already been faithful in my life. His promise is to give me everything I need for the current day (Eph. 1:3, Matt. 6:33), and that nothing I need will be withheld (Ps. 34:10). And He has never let me down! Jon and I have no idea what life will be like after August 2nd (or whatever day Little Dude decides to come😉). We don't even know what Jon will be doing for work! 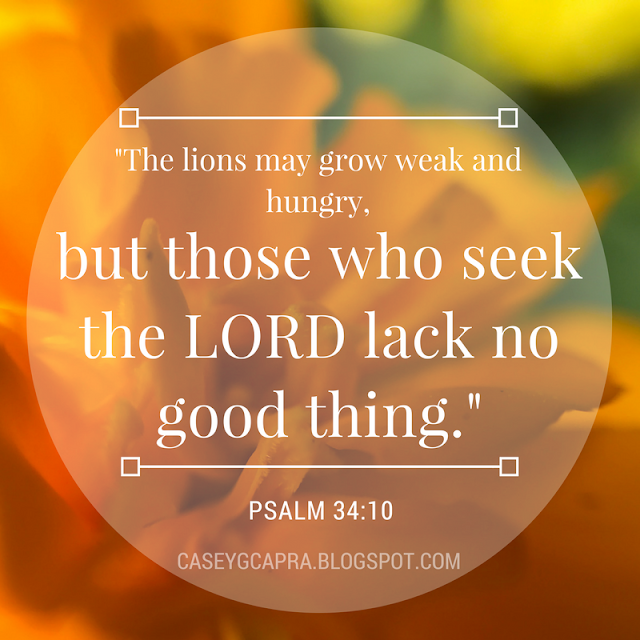 Our life is full of opportunities for anxiety, worry, or discouragement. But instead of focusing on that, the Lord is constantly reminding me to look to my past - or even to this very day! - and try and find a moment He wasn't faithful or wasn't working for my good. And I can never find a single one. 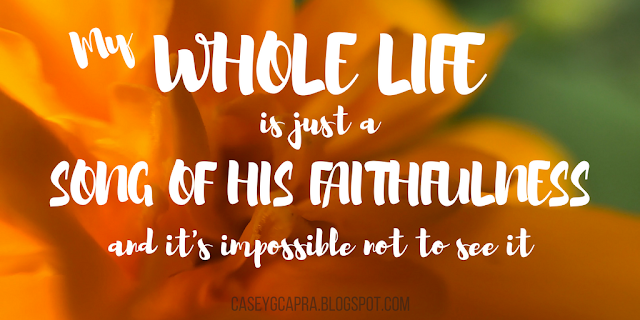 My whole life just is a song of His faithfulness. It's impossible not to see it, looking backwards! Even though I have no idea what my life will look like by the time my 24th birthday comes around, I know 100% that He will continue to provide me with everything I need to live out the call He has for me, in that day. Even if the provision of energy, finances, patience, grace, or tenacity do not seem to be there, they will be there in the very moment I need them, in the very moment I call on His name. So, cheers to another year, where I will be learning and growing and constantly being reminded of my Jesus' unconditional love and faithfulness that I could never deserve. And cheers to the year that will bring a new face into the world, my firstborn, my son, my little dude, and - excepting salvation and my husband - my greatest gift from God. While there's a lot to be nervous about, there's even more to look forward to. What are you looking forward to this year? Linking up with some awesome parties here! P.S. 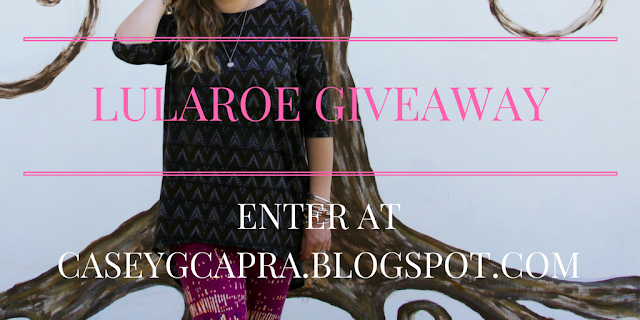 Don't forget about the LuLaRoe Giveaway! It ends Thursday night! Happy birthday to you! Hoping this year is your best one yet! Love your dress and the fact that you forgot how old you were. I did that last year too! So funny how the years matter less and less the older you get. Haha! That's true, I guess it's okay that they start to blur together! Glad to connect with you through the Sitting Among Friends blog party. A very happy birthday to you! I pray many more years of joy, health and fruitfulness (spiritual and physical) for you in Jesus' name. Happy Birthday! Wishing you the best year ahead! Happy 23rd birthday Casey. You have a lot to look forward to this year. 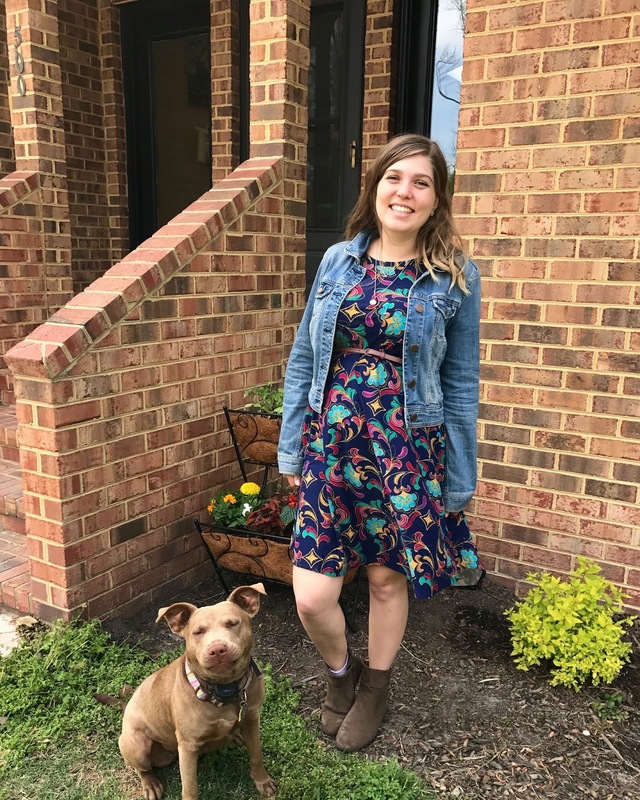 Love the photo of you and the dog. That is such a cute dress! Happy Birthday, Casey. Your post and your whole blog, just ooze joy! What a blessing to visit from #TuesdayTalk. Hope you'll link up on Soul Survival some Monday! Happy Birthday, Casey. God bless you and the beautiful words of hope and faith you share. So, this will age me, but my oldest is 23 (followed by 21 and 19). Enjoy every precious moment of the new miracle forming in your womb and hold tight to the eloquent message you proclaimed, "However, the Lord has started to shift my "awareness" to less of an awareness of what I am doing to prepare myself for motherhood, and to be more aware of how He has already been faithful in my life. His promise is to give me everything I need for the current day (Eph. 1:3, Matt. 6:33), and that nothing I need will be withheld (Ps. 34:10). And He has never let me down!" I will... Amen!